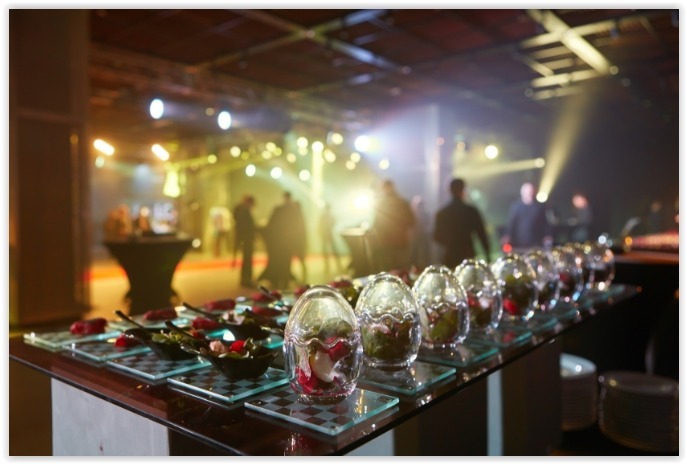 A corporate anniversary event, training seminar, honoring an employee for a special award, there are endless events that corporate teams must plan and put together. One of the most important parts of this event planning? Decor of course! Keep on reading to check out the latest inspiration and advice on corporate events from the decor experts at Rent Letters! Modern day events are all about the craftiest cocktails and beers you can choose. Team up with a local brewery in your area to showcase the area you’re hosting in and to add a classy signature twist. Another unique idea is having a house drink that showcase’s the personality or culture of your company; a corporate cocktail if you will. This is sure to be a hit at your event, and it can also be something for your guests to photograph and post to their social accounts. The more high-tech your event is, the better. Everyone loves to be updated on the latest technology they can use, so it is a great idea to include as much as you can in your corporate event. Event apps were just introduced in recent years and have been booming in popularity ever since. CrowdCompass and DoubleDutch are two amazing event apps that Rent Letters highly recommends to clients. Tablets, if the budget allows, are great tools to have at all tables or to use a check-in method. You can also use these to order if you’re having an event dinner or a luncheon. Overall, these tools give your event a modern feel and look which will definitely WOW your guests! Lighting for any event is everything! You can completely change the atmosphere of an event based on the light and sound in the room. A modern, eye-catching decoration that is perfect for any event is Rent Letters Marquee Letters. Spell out your company name, guest of honor, or a special holiday your company is celebrating! The 3 foot marquee letters include no hassle rentals and free round-trip shipping. The letters are constructed in extreme high-quality with professional turbo-style LED lights. Our letters are one-of-a-kind!